Discover Mesa, a 3D graphics library that is source code-compatible with OpenGL. Porting graphics to multiple platforms using a GUI toolkit. 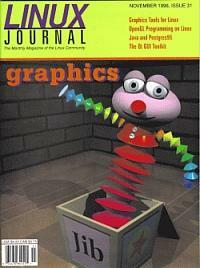 Can you really do professional graphic art on a Linux system? If you're aware of all the available tools, you can. How one student used Linux and OpenGL to build a 3D, network-capable tank game.